ECOFINESTRES work with mosquito nets Zanzar. PLISSÉ is a mosquito net for doors – windows of frequent passage. The absence of barrier in the soil facilitates passage. The simplicity of assembly and disassembly provides a thorough cleaning of the opening and the product. It may incorporate a sheet, two sheets with central locking, two sheets to follow, three and four leaves. FLEXA, Smart lateral rolling mosquito net, ideal for doors and windows; design of the handle bar, which makes it easy and comfortable actuation from both inside and from outside. The opening and closing of the leaf spring provided yet, very controlled, avoiding unexpected and rapid movements. 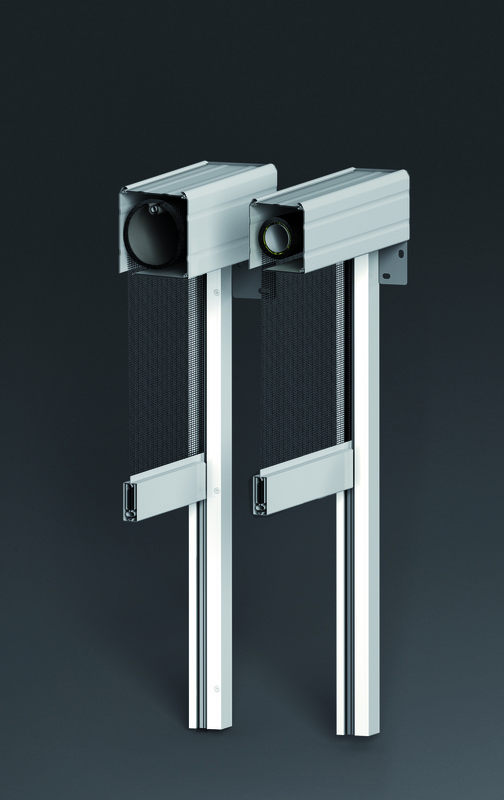 This feature, coupled with very low ground guide, makes this an ideal choice for frequent passage openings product. 0.22 GIOCONDA is a mosquito net for doors and vertical shirred net ventanascon friction collection. Use of the actuating rod facilitates the opening and closing operations. Pleated network comes standard in black, gray custom. 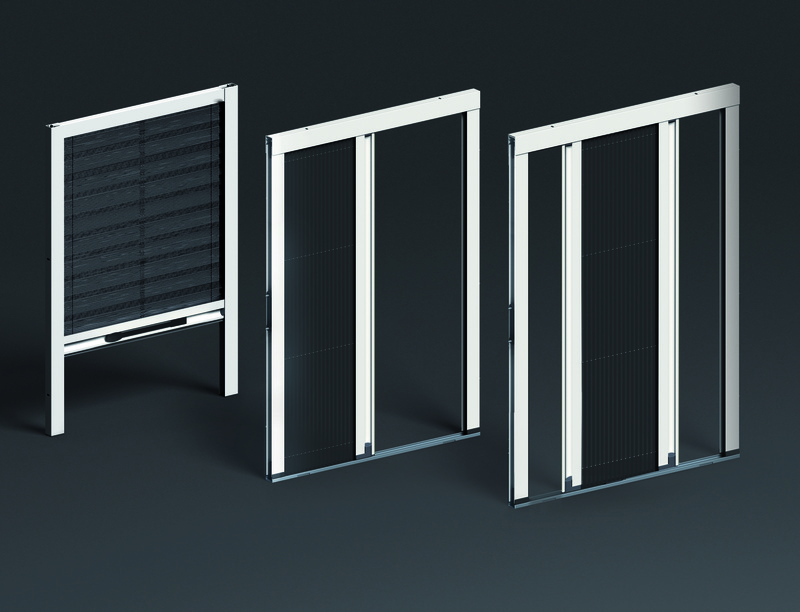 Mosquito Net, Black Out, Screen, vertical roller system for large dimensions. 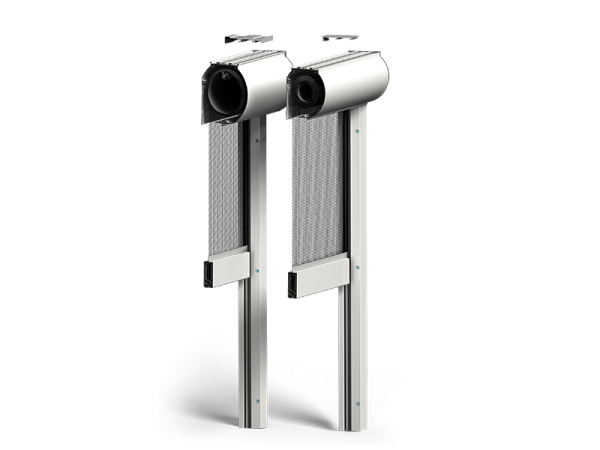 Collecting standard with gimbal or motorized option. The drawer has a maximum winding thickness: Cube 100 (103 mm) cube 80 (83 mm). Perfect combination of elegance and functionality and the best solution for closing large openings with a single fabric and with absolute safety through the Zip Windshield system. Between walls and front installation. solder joint between the zipper (zip) and various tissues / networks, as well as possible descuadres, to consider characteristics and not defects of the same. The drawer has a maximum winding thickness: 100 Rond (105 mm) Rond 80 (88 mm). Its unique characteristics make it particularly suitable for environments such as terraces and porches. starts with a single fabric and with absolute safety through the Zip Windshield system. Zip (zip) and various tissues / networks, as well as possible descuadres, to consider characteristics and not defects of the same.